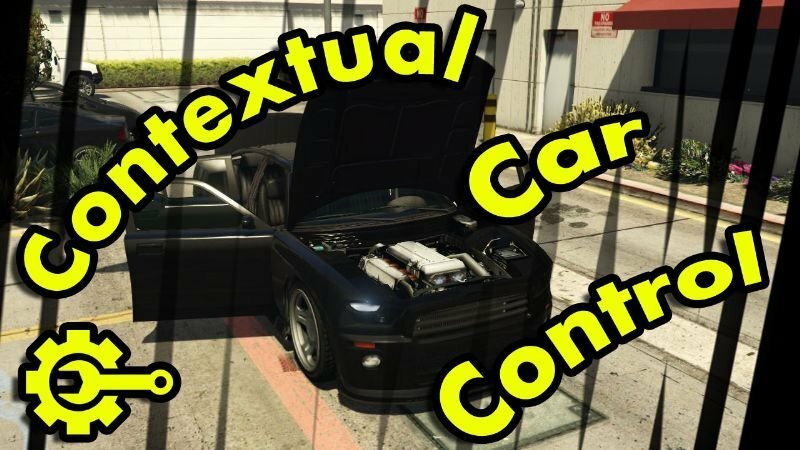 Contextual Car Control lets you perform several actions on your vehicle by using an all-new way of interacting with GTA V: a point-and-click menu that changes based on the current context (known as the Community Contextual Menu API). This means that you can perform these actions with extreme ease, without the need to remember a gajillion hotkeys. 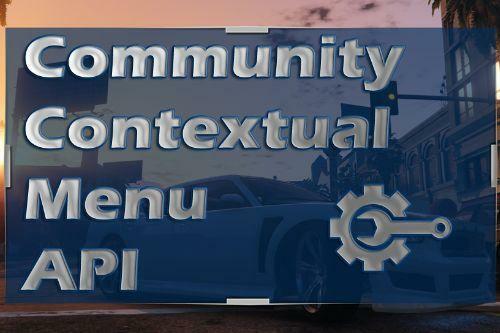 While Contextual Car Control is a mod in its own right, it is also a technology demonstrator for my new Community Contextual Menu API. 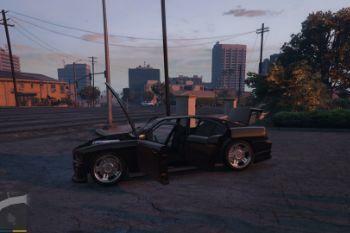 Unzip to your MAIN GTA V FOLDER. 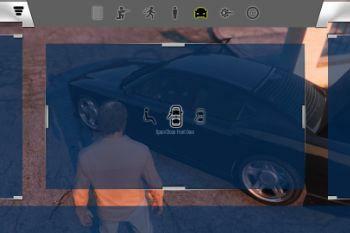 - Press "C"; point the cursor at a vehicle, and then scroll through the available options using "T" and "G". Finally, press "Z" to execute the option corresponding to the selected icon. 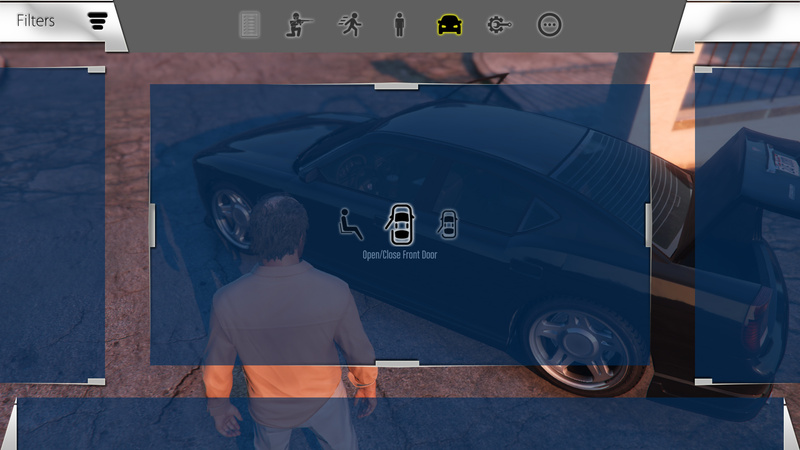 - To open the "detailed" contextual menu, HOLD "C" while pointing at a vehicle or while inside a vehicle. While holding "C" down, scroll through the options by moving your mouse, and release it when your desired option is selected. Finally, press "Z" to activate the option. Read the included readme.txt for more information. 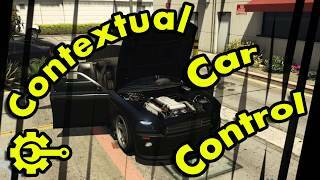 You can modify ContextualCarControl.ini and ContextualMenuAPI.ini to modify hotkeys, turn all features on & off, and more. Detailed info inside each INI file. 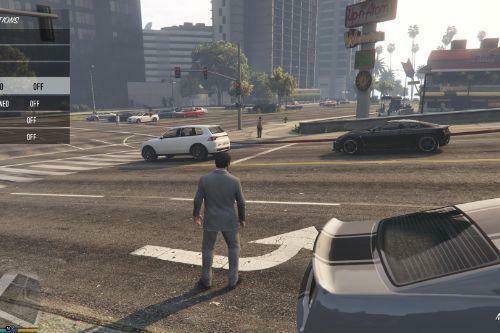 - The menu will consider that you are pointing at a vehicle when you point at the OUTSIDE of the vehicle. 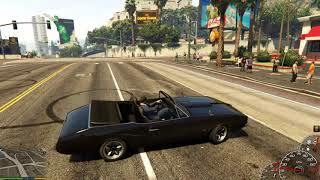 If you point at the windows or the inside of the vehicle, nothing will happen. 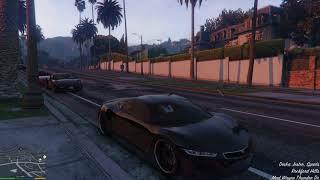 This is a GTA V limitation. - Open/close door animations may occasionally get stuck for a few seconds. - If entering as the passenger takes too long, the character will warp into the passenger seat. 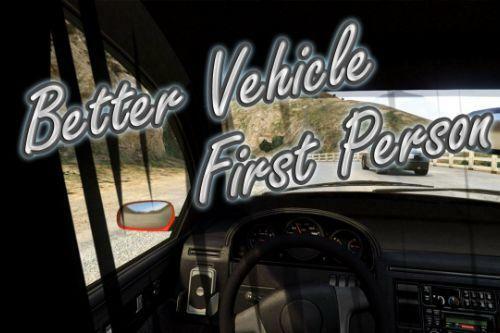 - Trying to enter as a passenger from the driver side of the vehicle will have your character pull out the driver from the vehicle, enter the driver seat, and then switch seats. Good for a few laughs, but will hopefully be fixed in future versions. 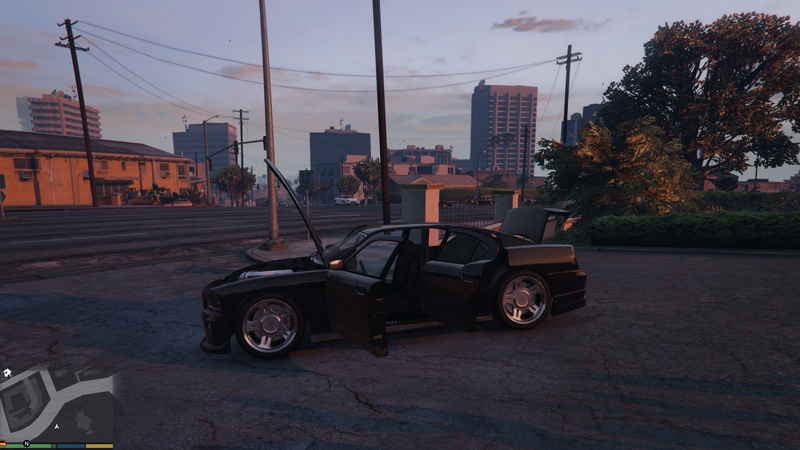 - After you turn the engine off using the "Engine OFF" option, you will hear the engine trying to start and your character will complain. 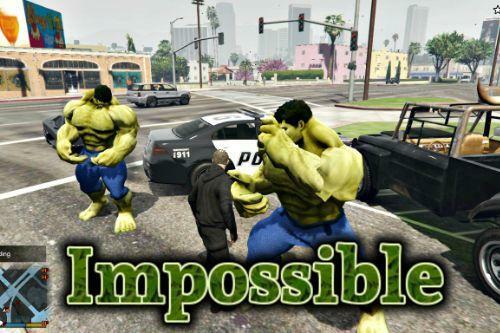 This is a GTA V limitation. - When entering a vehicle that has some window already rolled down, the first time you try to roll that window up, nothing will happen. It will work on the second attempt. 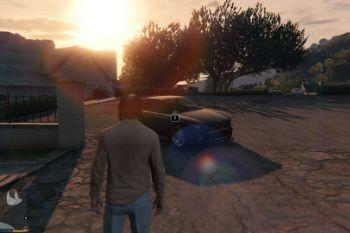 - FEATURE: Locking a car will make it persistent; it should not disappear. Remote control is not what I have in mind for this mod at the time. 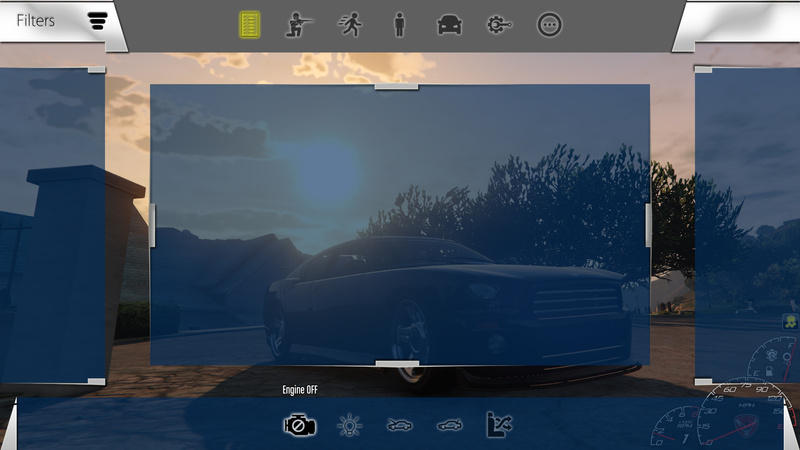 However, I know there are some other good remote control mods out there, and if the authors wanted to, they could easily add their functionality to this menu by implementing the Community Contextual Menu API. So if you find one you like, you can suggest this to the author. For you as a player, that would mean that those options would be combined with those of other mods, such as mine, all in the same menu, so you wouldn't need to learn/use any new hotkeys. NOTE: I haven't yet released the developer version for the menu API; I'm still working on the documentation, but it's coming soon. About the cursor, I'll make a note; it means adding a whole new selection method, so I can't make any promises. And for the love of god, don't bind the menu keys to your movement keys! 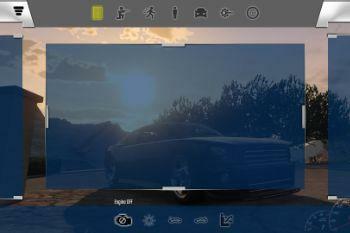 Ideally, you should be able to use the menu while running and doing other stuff. Added to the To-do list for future versions, thanks for the idea! This is better than VehicleController! Absolutely. It's got door controls and everything! Damn dude this is something special. Very interesting idea. It gives a fresh wind. Keep it up! Thanks for the heads-up. I don't own a controller, but I think I might be able to fix it. If I can, it'll be in the next update. 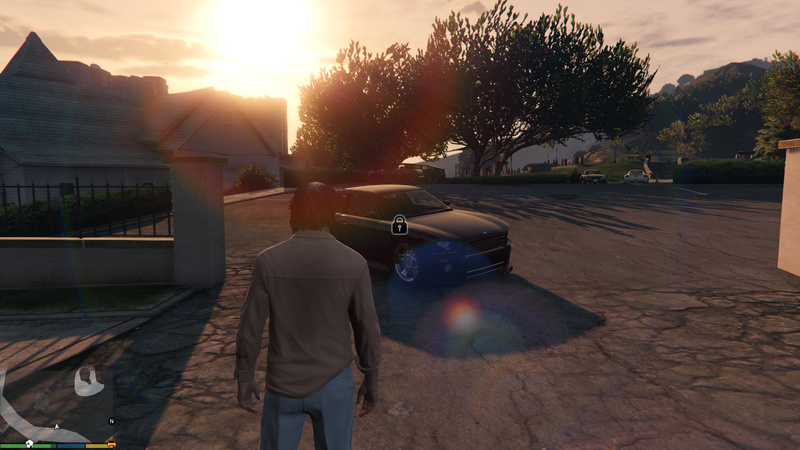 I've seen the videos and I really like the mod, however I can't get it to work in my game, I've got all the required stuff installed and extracted the downloaded folder into the GTA root directory, so all the files are in the scripts folder now. I can't find what I've done wrong, can you help? @Razorwings18 Love the mod and wanted to say thank you for your work and your time. I am having the same problem as @NaijaMango where i can enter a car using a controller but not exit it. Hopefully you can find a work around and fix it. 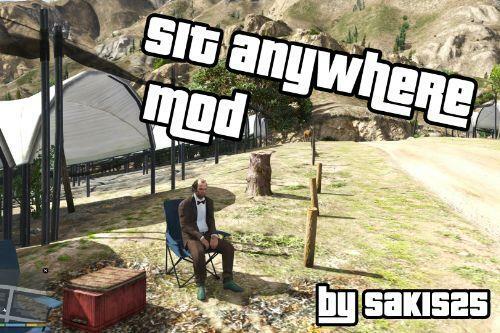 Great mod, works wery well, GOOD WORK!